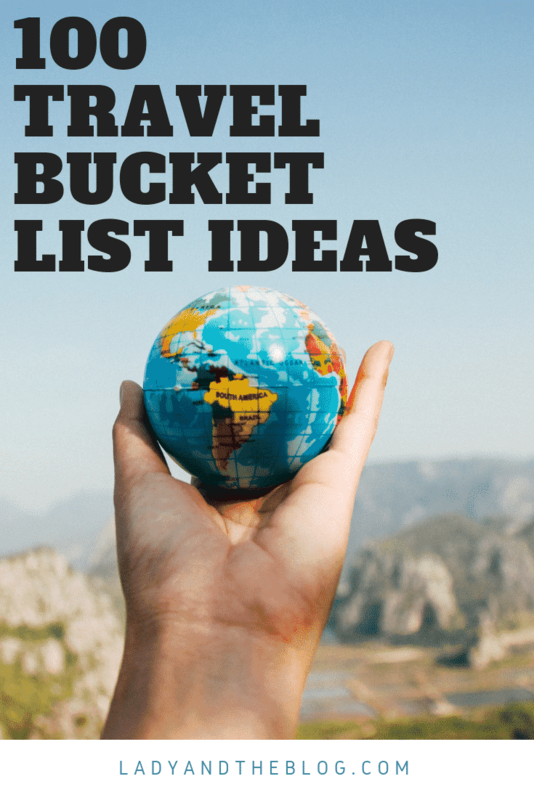 Do you have a bucket list for travel? What are some of the places that you’ve been dreaming of seeing? Honestly, now is the time for you to start planning something. My grandmother is currently in a rehab and surrounded by people in their 80s and 90s. Every visit, I remember how precious life really is. If you have a bucket list, check things off – one at a time. If you have a TRAVEL BUCKET LIST – get your passport and just G-O. See the world! Today is your day. You will regret NOT taking the trip. There’s no do-over when it comes to living. I think it’s important to include totally out of the park ideas that you may or may not ever do on your bucket list AS WELL AS easy tasks that you know you will hit. The idea is to see yourself accomplishing things, but still always having more to do!! 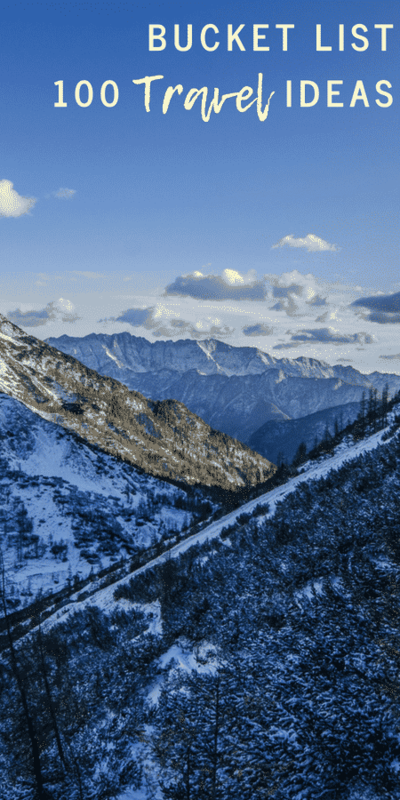 Need some inspiration for your travel bucket list?? No problem!! I have 100 ideas to get you started!!! Walk across some of the great bridges of the country – Brooklyn, Golden Gate etc. There you have it! 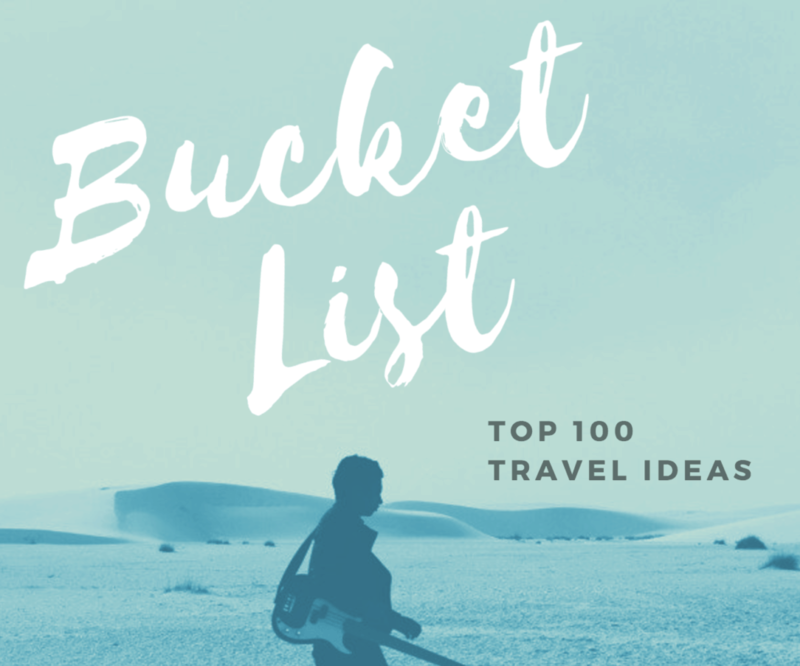 100 great bucket list ideas for you to consider for your next travel planning session! Any of these work for you? How many have you done?! Would love to hear!!! For more travel-related content, visit my Travel section.